John Walker, Ph.D., C. Psych. Kim Ryan-Nicholls, R.P.N., R.N., B.Sc.N. Dr. Kristin Reynolds is an Assistant Professor in the Department of Psychology (Clinical Area) at the University of Manitoba (U of M). 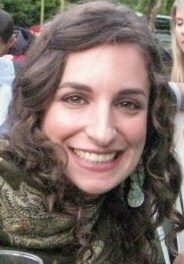 She has been a member of the Mobilizing Minds Research Group since 2008, initially involved as a Young Adult Team Member. As Director of the Health Information Exchange Laboratory at the U of M, Dr. Reynolds is interested in increasing access to health-related information and services. Her areas of research interest include knowledge translation, health psychology, information needs of older adults (after age 65), information needs of women experiencing anxiety and depression during pregnancy and postpartum, health literacy, and health service use. She is interested in program development and evaluation around resources to provide information to the public about treatment alternatives in the health and mental health areas. Dr. Eastwood is an Associate Professor of Clinical Psychology at York University. The overarching objective of his research is to understand how emotion and attention processes interact. More specifically, he studies how attention is allocated to affective and socially relevant information, the influence of mood and motivation on attentional processes, as well as affective consequences of attention failures. Currently, John is actively pursuing two research projects. The first examines how a person’s emotional state impacts attention processes – with a focus on boredom in particular. The second project seeks understand and model how a client’s emotional state changes, moment by moment, over the course of successful and unsuccessful sessions of psychotherapy. John’s involvement in the Mobilizing Minds project expresses his desire to help empower young adults to make well-informed choices about their mental health. He has been especially involved in developing information about psychotherapy and alternative treatments. Dr. Walker is the project lead and a professor in the Department of Clinical Health Psychology at the University of Manitoba. John has been especially involved in evaluating research information and summarizing it for the Informed Choices website. He supervises senior clinical psychology students in their training and provides individual and group treatment himself. He is coauthor of Triumph Over Shyness, a self-help book for shyness and social anxiety and a book for practitioners titled Treating Health Anxiety and Fear of Death. John has a special interest in self-help approaches to treatment of anxiety disorders. He was a founding board member of the Anxiety Disorders Association of Manitoba and has worked with them to develop self-help programs that provide assistance to individuals with anxiety disorders in Manitoba. He was also a founding board member of the Anxiety Disorders Association of Canada. 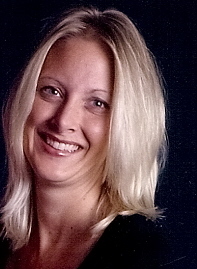 Jennifer McPhee was the original Project Coordinator for Mobilizing Minds. Jennifer holds an Honours BA in Psychology from Brock University, and an MSc in Mental Health Counselling from Niagara University. She has 12 years of experience coordinating national and provincial community-university research projects focused on youth mental health and addictions (promotion, prevention and treatment) with specific skills in project management, quantitative and qualitative research, program development and evaluation, knowledge mobilization and cross-sectoral stakeholder engagement (i.e., government, community organizations, young people and researchers). Jennifer also has clinical experience as a mental health and addictions counsellor with applied knowledge in evidence-based practice and programs. Emma Firsten-Kaufman is the Project Coordinator for the dissemination phase of the Mobilizing Minds project. Emma holds an MPH in Health Promotion from the University of Toronto (Dalla Lana School of Public Health) and is completing certification in Project Management, also at U of T.
She has experience working both in research and with a variety of programs focused on improving health equity and access to health services and resources for women, youth and diverse under-served or marginalized populations. Emma has applied her skills in health promotion, program evaluation, qualitative research, knowledge translation and community outreach both in Toronto and internationally. She has worked with the Pan-American Health Organization, Casey House HIV/AIDS Hospice and the Centre for Addictions and Mental Health. Emma also has experience working as a Youth Counsellor for the Canadian Centre for Victims of Torture. Dr. Angus is Associate Professor of Clinical Psychology at York University in Toronto, Ontario, Canada and is a past president of both the International Society for Psychotherapy Research and North American Chapter, Society for Psychotherapy Research. Her psychotherapy research interests have focused on understanding the contributions of narrative and emotion processes for efficacious treatments of depression and has authored/co-authored 3 books, and over 60 research publications, over the course of her professional career. She is the originator, and co-developer of the Narrative Processes Coding System (NPCS) (Angus, Levitt & Hardtke 1999) which has been translated into Portuguese, Spanish, Finnish and German. Additional research interests include the development of practitioner-researcher network in Canada for the facilitation of effective practice-informed research strategies, productive therapeutic relationships and enhanced treatment outcomes in community practice settings and training clinics. Lynne’s most recent book, entitled ‘Working with Narrative in Emotion-focussed Therapy: Changing stories, healing lives’ (Angus & Greenberg 2011) provides clinicians with effective, research-informed strategies for the facilitation of productive client storytelling and emotional expression in EFT. Finally, Lynne maintains an active part time private practice in Toronto and is a clinical supervisor at the York University Psychology Clinic. Dr. Ferrari is a Psychologist in private practice in London, Ontario. He is affiliated with the Departments of Psychology and of Psychiatry at the University of Western Ontario. Dr. Ferrari has expertise in short term and long term adult mental health therapies; assessment, diagnosis, and rehabilitation; hypnotherapy; program evaluation, client empowerment, and regulatory issues. He has been especially involved in developing information about the cost of treatment. Dr. Furer is an Associate Professor in the Department of Clinical Health Psychology at the University of Manitoba. She is active in training of clinical psychologists and directs a clinical service providing help to many young adults. She a first author on a book for practitioners titled Treating Health Anxiety and Fear of Death. She has been active with the team in evaluating the information needs and preferences of young adults through the use of focus groups and individual interviews. She also participated in assembling information on the cost of treatments for depression. Dr. Marcus is a researcher with the Mobilizing Minds project. She has Ph.D., C.Psych (supervised practice) and is active as both a clinician and researcher. Her main research interest focuses on increasing treatment access for those suffering from mental health problems. Specifically, this involves exploring the mental health information and treatment preferences of young adults as part of the Mobilizing Minds Research Group. Dr. Marcus also works as Clinical Psychologist (supervised practice) in a clinic in Toronto with people who have eating disorders, anxiety and/or depression. Madalyn is also an active mental health advocate. In this role, she serves on the Board of Directors for the Anxiety Disorders Association of Canada (ADAC), offers community based presentations on mental health concerns, co-organized the first Mental Health Camp Toronto and is active on Twitter. Dr. Phipps received his Ph.D. in Immunology from Queen’s University (Kingston, Ontario) in 1991. David developed a career in the management of academic research holding successively senior positions at the University of Toronto Innovations Foundation (Manager of Biotechnology and Life Sciences), Canadian Arthritis Network (Director of Business Development) and Canadian Institutes of Health Research (Director of Partnerships). In 2001, he completed his MBA from the Rotman School of Management (University of Toronto). He is the Director of the Office of Research Services at York University where he manages all research grants and contracts including research ethics and knowledge and technology transfer. David has advised the project around partnerships and knowledge translation. Dr. Rose-Krasnor is the Research Director of the Centre of Excellence for Youth Engagement and a Professor in the Psychology Department at Brock University. She is involved in research to understand the development of social competence in children and youth, with a special focus on the roles of parents, peers, and activity involvement. Dr. Rose-Krasnor also leads the Evaluation Process Team for Mobilizing Minds. Kim Ryan-Nicholls is an Associate Professor in the School of Health Studies at Brandon University. She teaches in the field of psychiatric nursing. She has a special interest in qualitative research helped the team in planning and analyzing results from focus groups and individual interviews with young adults from rural and urban settings in Manitoba. This work involved community college students taking a wide range of programs. Dr. Sareen is a Professor of Psychiatry in the Departments of Psychiatry, Psychology and Community Health Sciences at the University of Manitoba. He is also a consulting psychiatrist for the Veterans Affairs Canada Operational Stress Injury Clinic at Deer Lodge Hospital in Winnipeg. He currently chairs the Research Committee for the Canadian Psychiatric Association. His research focuses on military mental health, Aboriginal suicide, and homelessness. He leads a partnership grant with First Nations communities in Northwestern Manitoba to improve the understanding of suicide and suicide prevention measures (Swampy Cree Suicide Prevention Team). He is also the Winnipeg Site Co-Principal Investigator for the Mental Health Commission of Canada’s Research Demonstration Project in Homelessness and Mental Health (At Home/Chez Soi Study). He has assisted the team with the development of information about treatment options for depression. Dr. Swinson is Professor Emeritus in the Department of Psychiatry & Behavioural Neurosciences at McMaster University. He is also a practicing psychiatrist with a special interest in anxiety disorders. He has experience in the development of evidence-based guidelines for use in health care settings. He was the lead author on Clinical Practice Guidelines, Management of Anxiety Disorders (July 2006). In collaboration with the Canadian Psychiatric Association (CPA), he organized the recruitment of experts from across Canada including psychiatrists, psychologists, and family physicians and oversaw the compilation of the evidence base for the Guidelines. Dr. Swinson was the advisor to the first phase of the dissemination process to community-based practitioners and the continuing dissemination with CPA and the College of Family Physicians. In his work with the project he has been especially involved in developing evidence-based information about treatment choices for depression. Dr. Westra is an Associate Professor in the Department of Psychology at York University and the Director of the Anxiety Research Clinic. The main focus of her research is the impact of integrating methods to enhance motivation (motivational interviewing) with cognitive behavioral therapy for anxiety. She is author of two books on motivational interviewing: Motivational Interviewing in the Treatment of Anxiety (2012) and Motivational Interviewing in the Treatment of Psychological Problems(2007) with Hal Arkowitz, William Miller, Stephen Rollnick. She conducts psychotherapy process research investigating the impact of resistance and alliance ruptures on therapy processes and outcomes. Henny also investigates the impact of client individual differences in expectations and motivation on therapy process and outcome. In addition, she conducts research to understand barriers and facilitators of help-seeking for mental health problems among young adults. Brad Zacharias (M.A. Clinical Psychology) is a PhD student at the University of Manitoba (U of M). He received his BA (Hons) in psychology in 2003 and his MA in clinical psychology in 2006, both from the U of M.
His undergraduate thesis focused on young adults and the quality of intimate relationships; his MA thesis focused on parents’ perceptions of treatments for child anxiety. During his PhD studies, Brad has been studying health care decision making especially as pertains to the development and testing of decision support instruments (decision aids). Brad has been involved in developing the research information for the informedchoices website and evaluating the website. Brad was also involved in knowledge synthesis work in the area of compelementary and alternative treatments for depression.